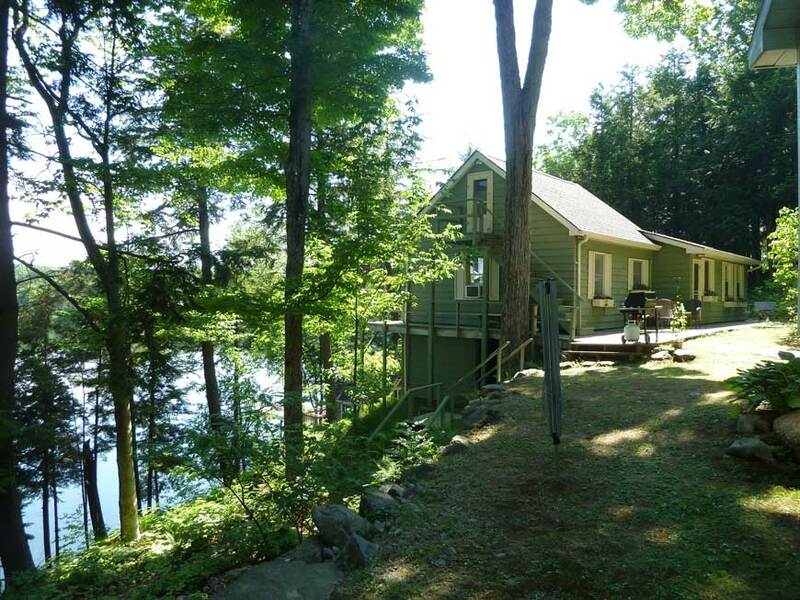 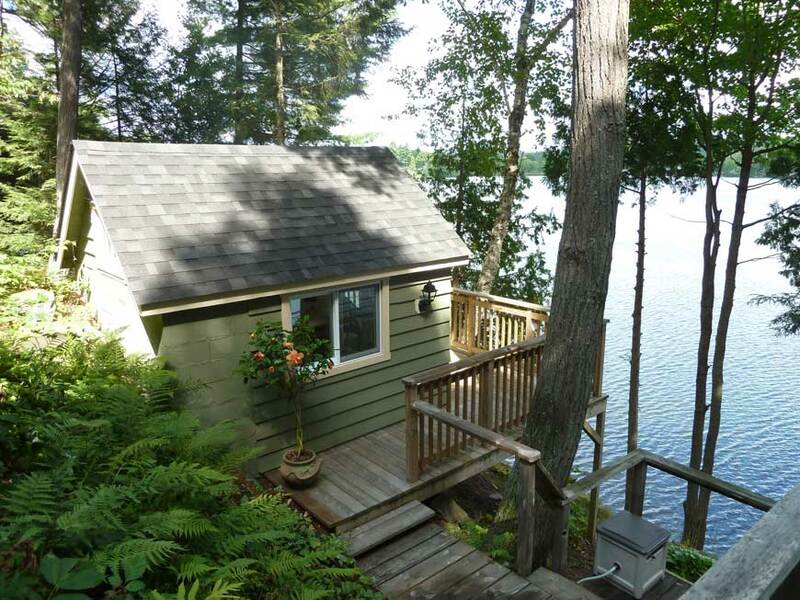 Overflowing with charm, the main cottage, guest bunkie, and lakeside cabin offer a combined 1750 square feet of living space and are being sold completely furnished – just bring your suitcase! 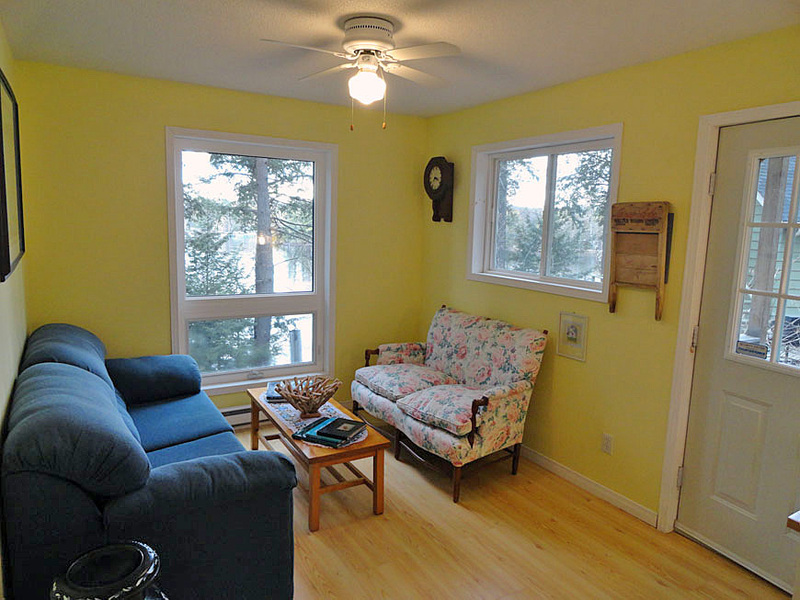 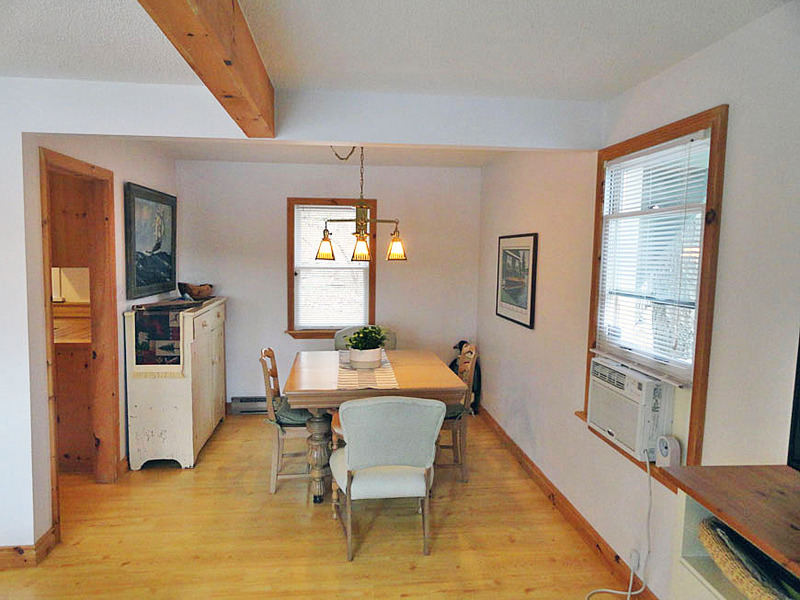 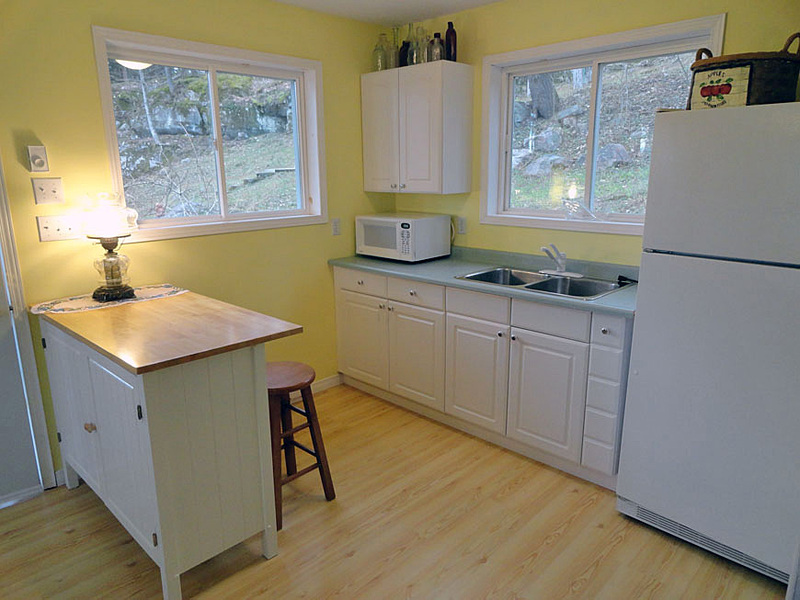 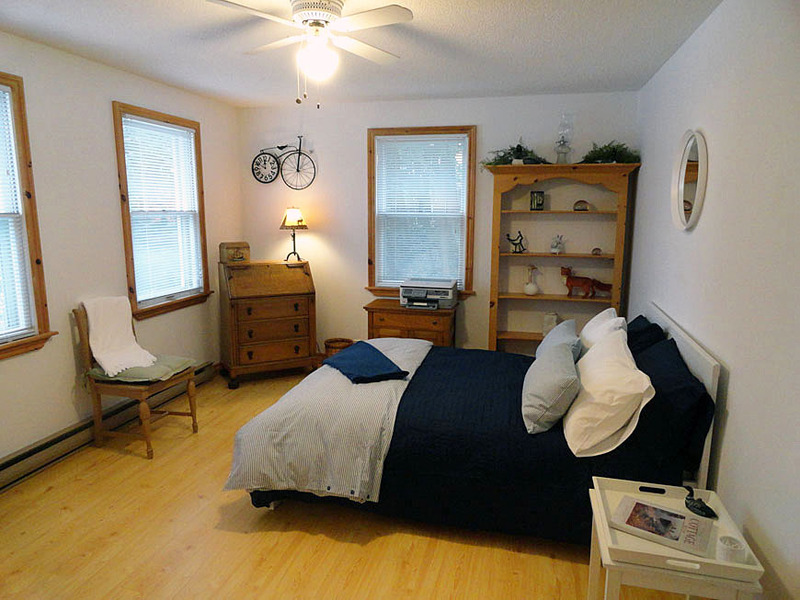 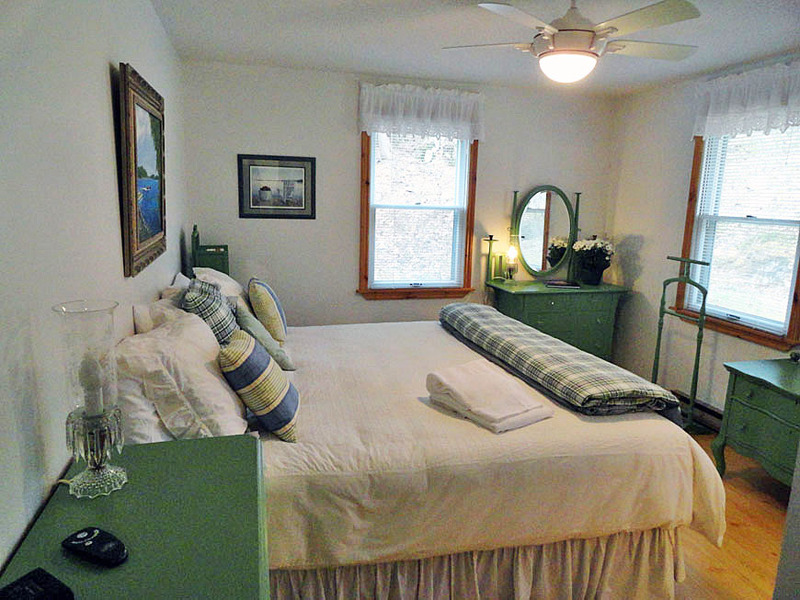 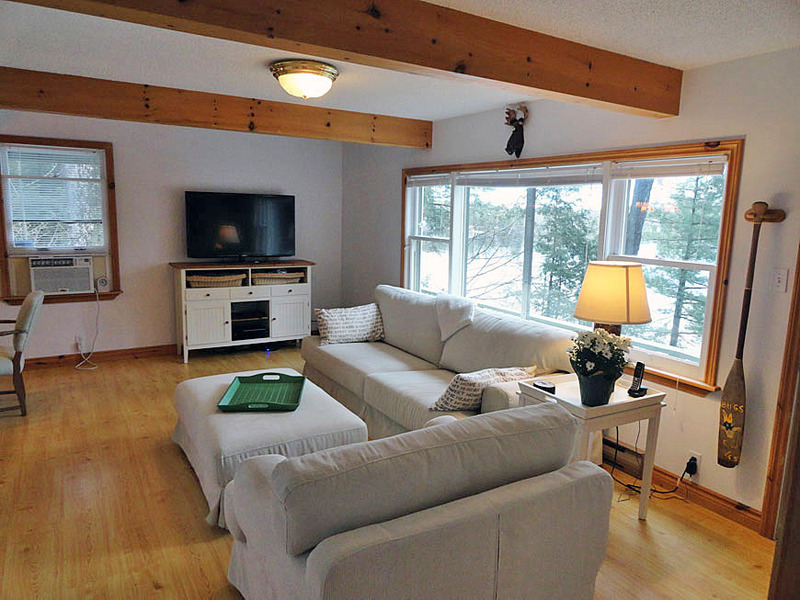 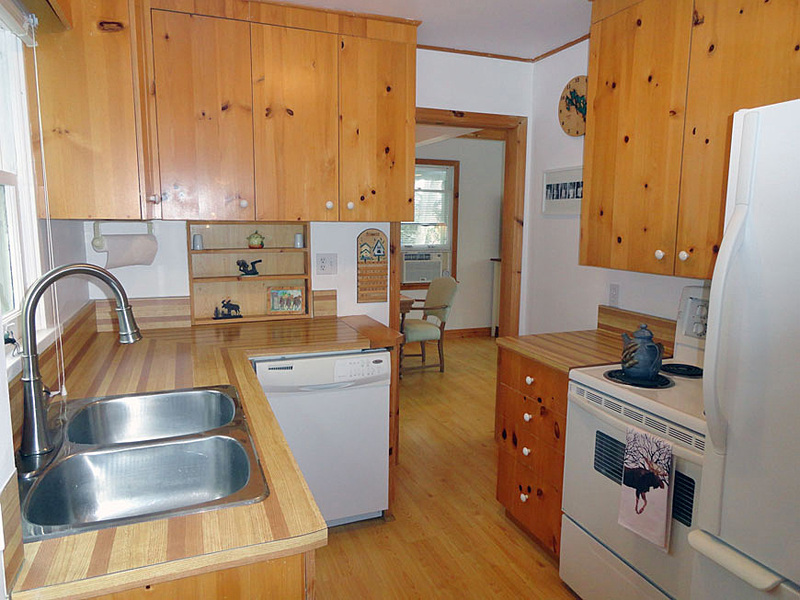 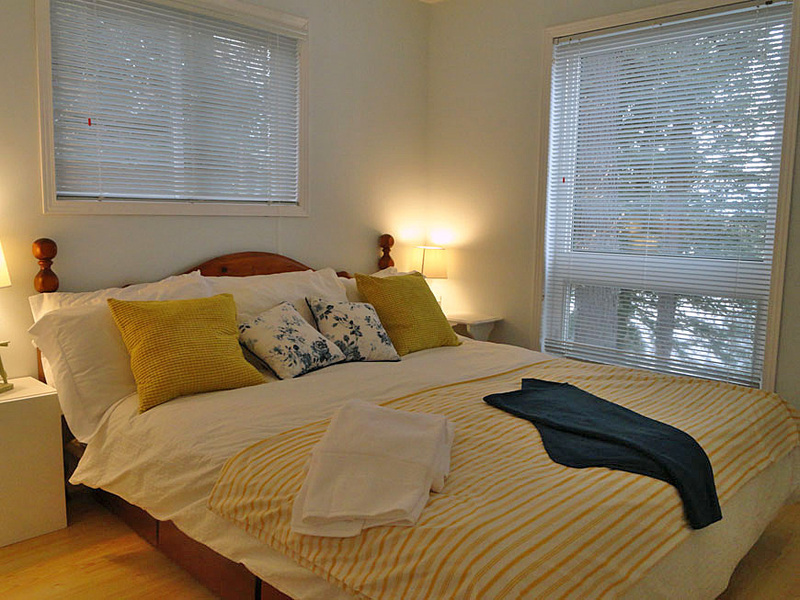 The 1200 square foot cottage offers a quaint kitchen, bright dining area that opens to the welcoming living room, and two spacious bedrooms, one with its own two piece ensuite and the other with direct access to the main four piece bathroom. 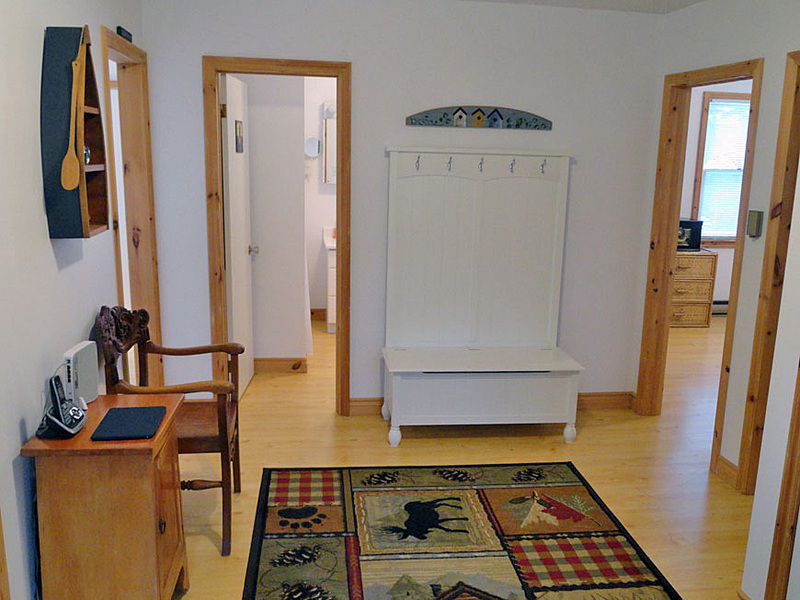 A convenient laundry closet with stackable washer and dryer makes brilliant use of space. 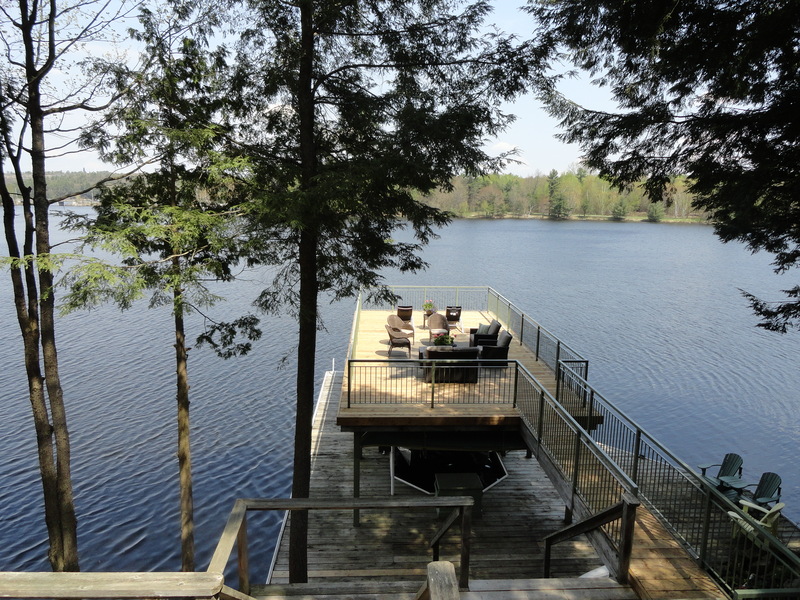 Several walkouts to the large front and back decks throughout the cottage put the great outdoors at forever at your fingertips. 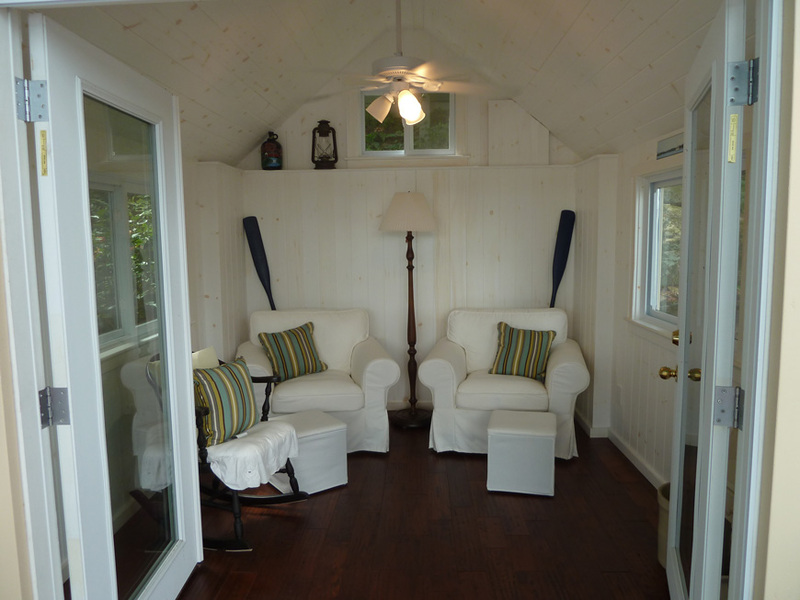 The kids will love the upper level loft, accessed by the outdoor staircase, which is a fun, private retreat with a bedroom and sitting area. 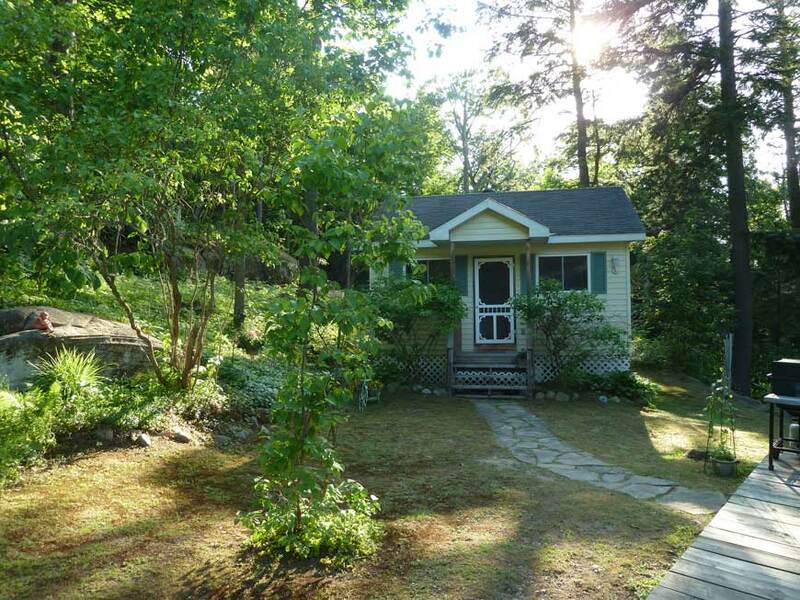 A hop, skip, and jump across the yard leads to the inviting guest bunkie, well equipped with a kitchenette, bedroom, full bathroom, and living room with a pull out sofa bed. 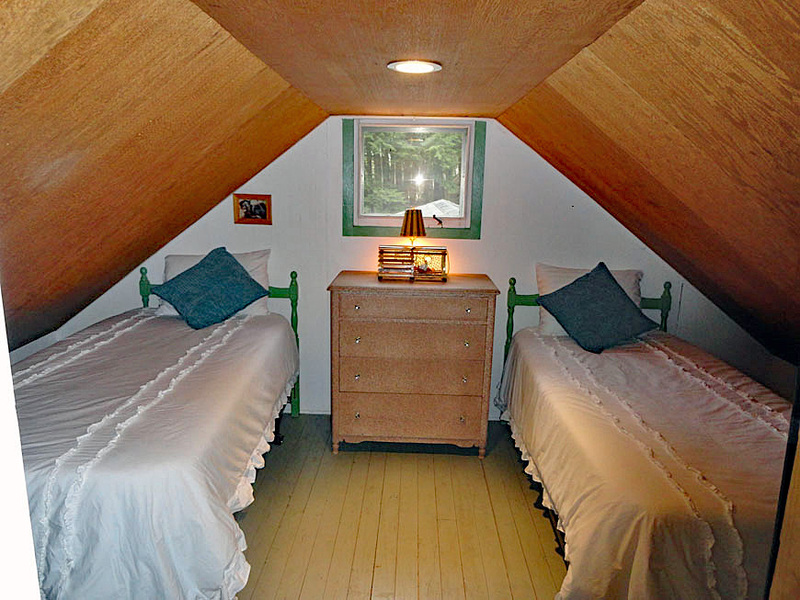 A freshly refurbished cabin near the lake is an inspiring and relaxing space for meditation, yoga, reading, or any other creative outlet, or it could make a lovely sleeping cabin. 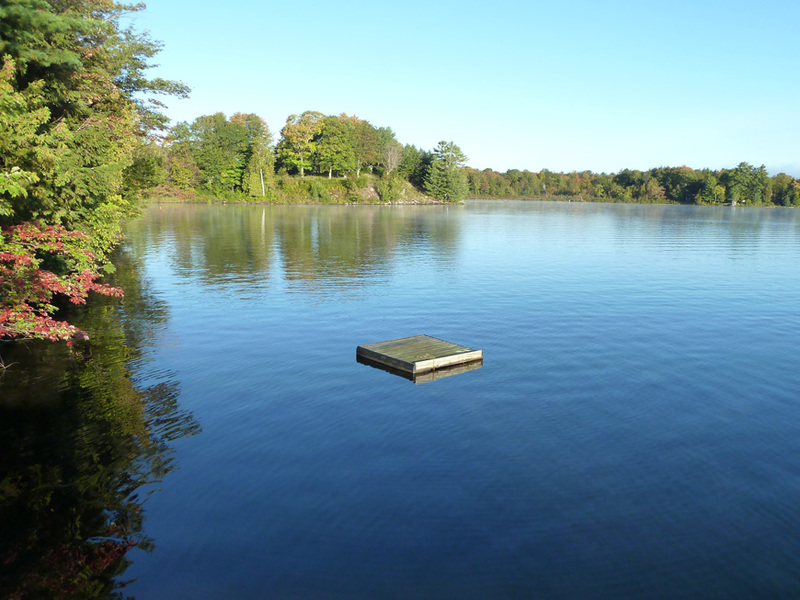 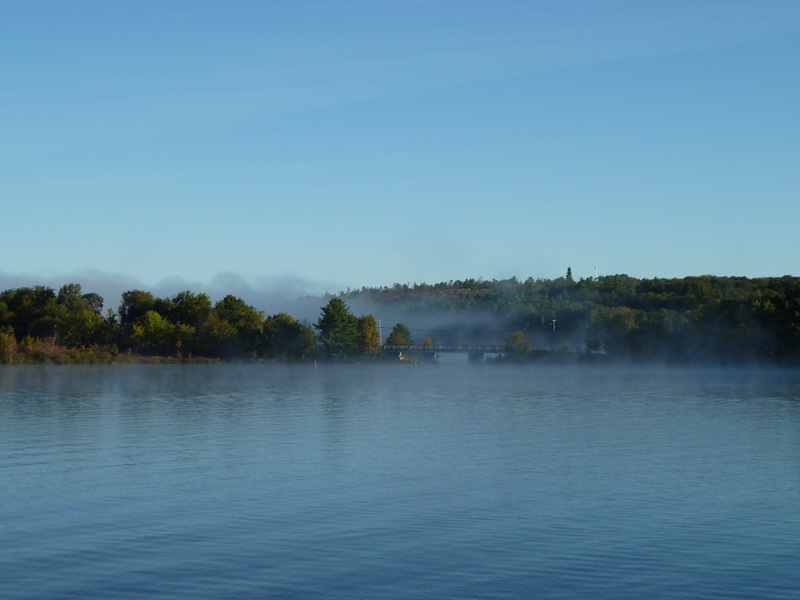 Step into the lake at one of several shallow entries along the shoreline or dive off the dock into glorious deep water. 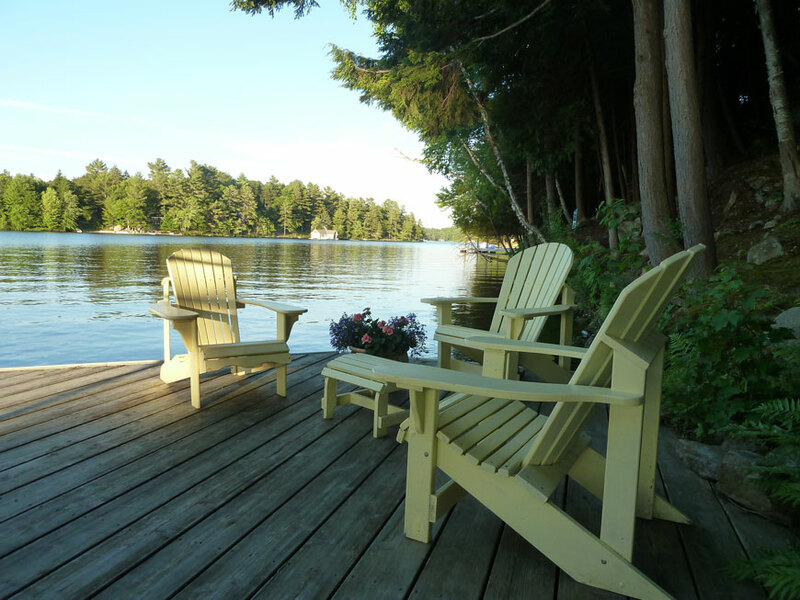 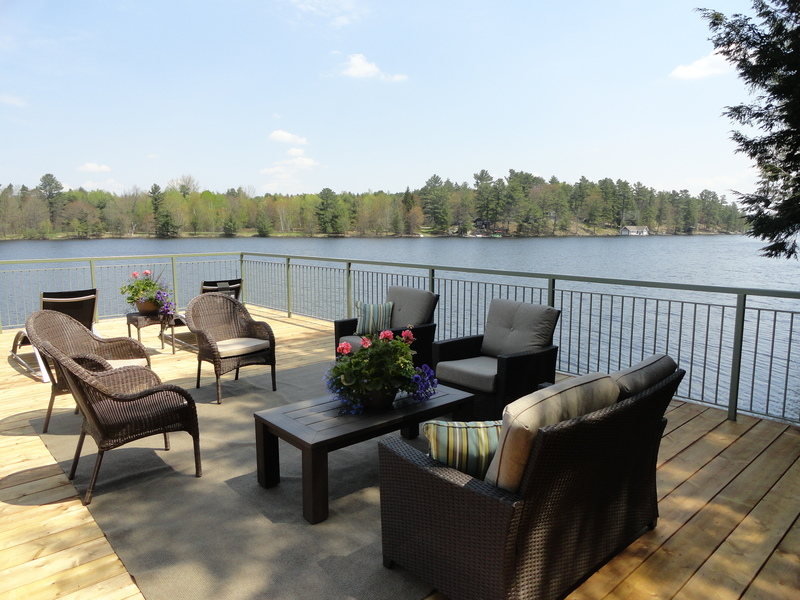 Enjoy ample shade from the hazy Muskoka sunshine or get your summer tan on in several sunny lounging locations around the property, including the spacious front and rear decks, dock, and boat port sundeck. 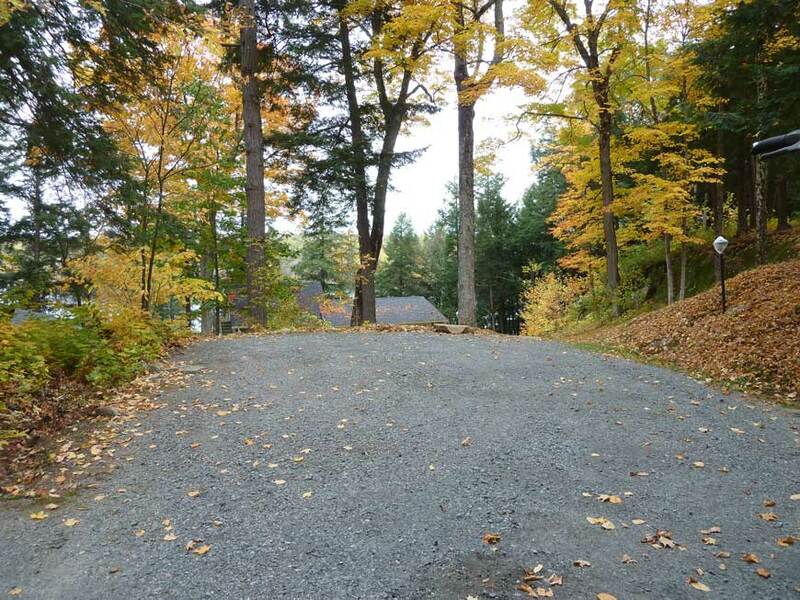 Offering over 300 feet of frontage and more than 2 acres of land this beautiful property features a nice combination of sloping and gently rolling land, level plateaus, and a gorgeous rock wall on it eastern border, which is not only visually spectacular, but provides flawless privacy. 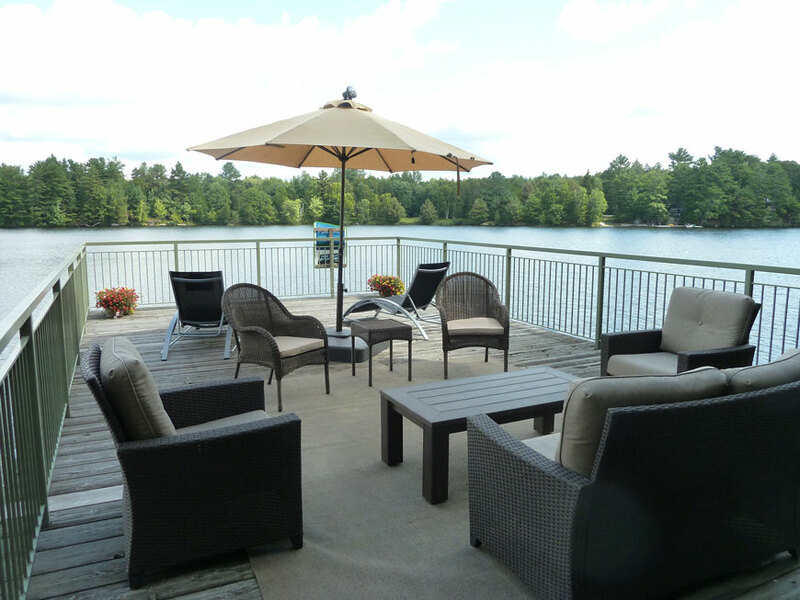 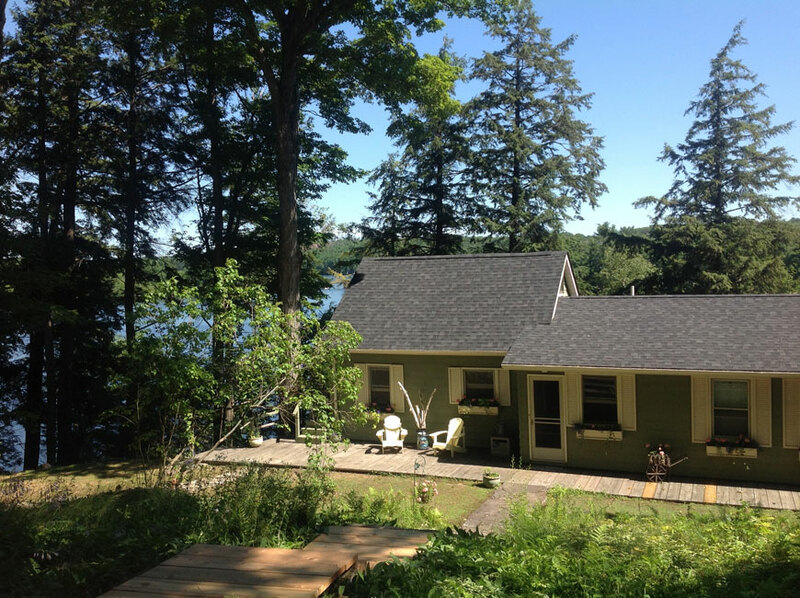 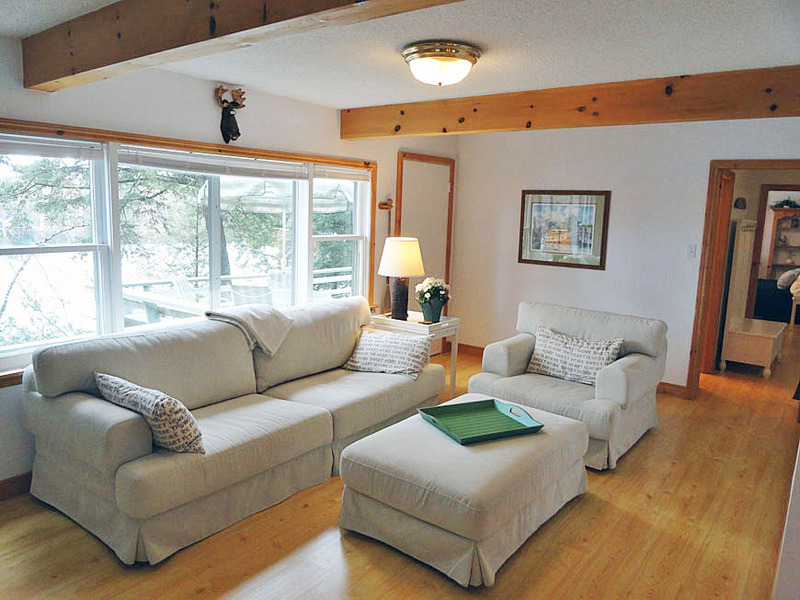 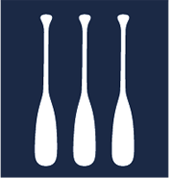 This attractive Lake Muskoka package can be readily enjoyed as is, having been well maintained and much loved by its current owners for many years, and it offers innumerable opportunities for future development, including a 2-storey boathouse with guest quarters. 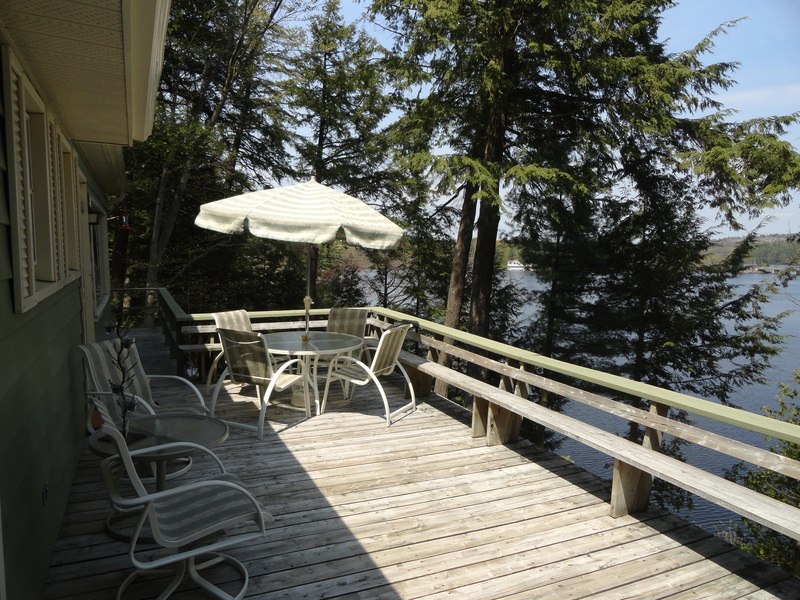 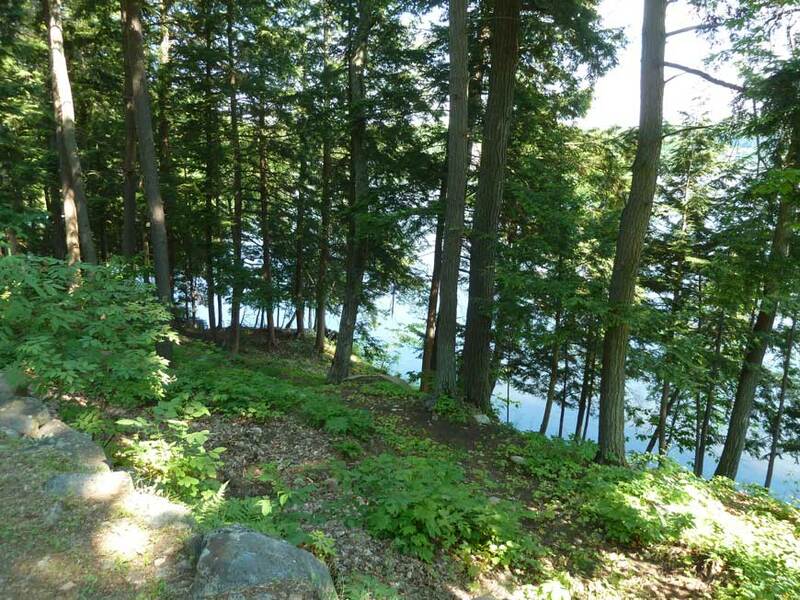 With its rarely offered, convenient, and highly sought location, complete privacy, and high-quality land, this property is truly worthy of present adoration and future cottage dreams.